As far as the Ottawa Senators’ ticketing department is concerned, the Toronto Maple Leafs are in a league of their own. The Canadian Tire Centre regularly gets overrun with Leafs fans when Toronto comes to town, so the Sens are doing something about it. They’re going to take their money. Senators fans received an email from the team, informing them of variable pricing for the 2018-19 season. Games will be priced differently according to five different pricing tiers, according to predicted demand. Variable pricing isn’t a new idea, nor is it uncommon among NHL teams. What is unusual is to give a team its own price category. Of the 41 regular season home games, there’s just one team considered as part of Tier 1: the Toronto Maple Leafs. Montreal on a Saturday night in October? That’s Tier 2. Alex Ovechkin and the Stanley Cup Washington Capitals visiting on a Saturday during Christmas holidays? Also Tier 2. A chance to see Sidney Crosby or Connor McDavid? Pssh, those are Tier 3 games. But the Leafs, for both of their visits to Ottawa in March, are at a premium price. The cheapest ticket to see the Leafs is $105, more than triple the lowest-priced ticket for a Tier 3 game like the Pittsburgh Penguins on a Saturday night. The Sens have had trouble attracting fans to their home arena in recent years, causing them to take the unusual step of reducing the number of seats at the Canadian Tire Centre. That’s expected to get even worse next season, as one of the league’s most dysfunctional franchises is coming off a dreadful season. Ottawa ranked 24th out of 31 teams in average attendance last season. 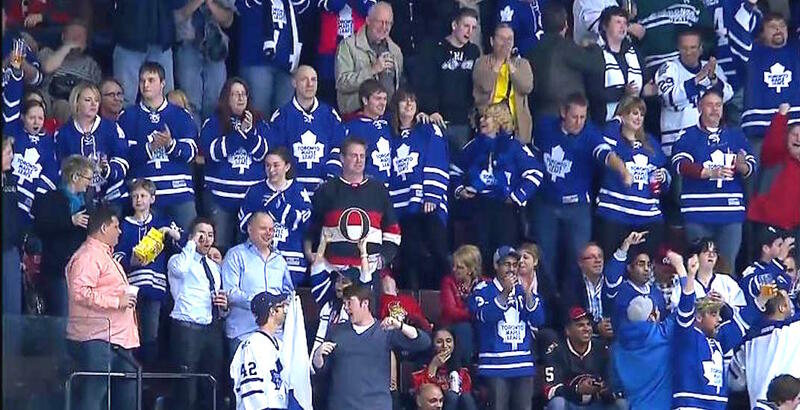 Two of the three highest attended games at the Canadian Tire Centre featured the Leafs.